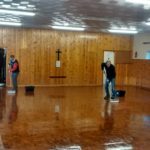 The group needs your help to keep it running. someone to organise some fund raising for a big project. If you think you could help please talk to any of the unit leaders or use the Volunteer link on the front page of the website. Download the cubs Spring programme 2014 Cubs Spring 2014 programme. 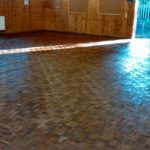 All meetings at the Scout Hut, Mill Lane. The programme for the spring term is now in your inbox (if not, contact Michael!). 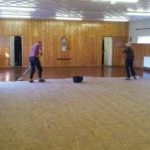 It includes dates of our spring and summer camps as well as what we plan to be doing where to meet each week. 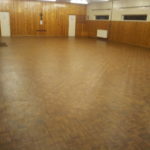 Over the Christmas break, we have renovated the parquet floor of the scout hut. 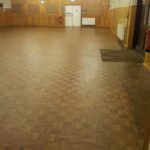 We have spent a lot of time and money on the floor, so let’s hope that it is now in a state to stand up to another 10 years of wear and tear! Thank you to Brewers Decorators Merchants on the High Street in Sevenoaks for discounting some of the tools we used.